Seed Placement: The seed is placed 3/4” (19 mm) above and to the side of the fertilizer row, after the carbide wafer under the tip’s wing seals the fertilizer trench and firms up the seed bed. The GP & LP openers deliver phosphorus on top of the seed. 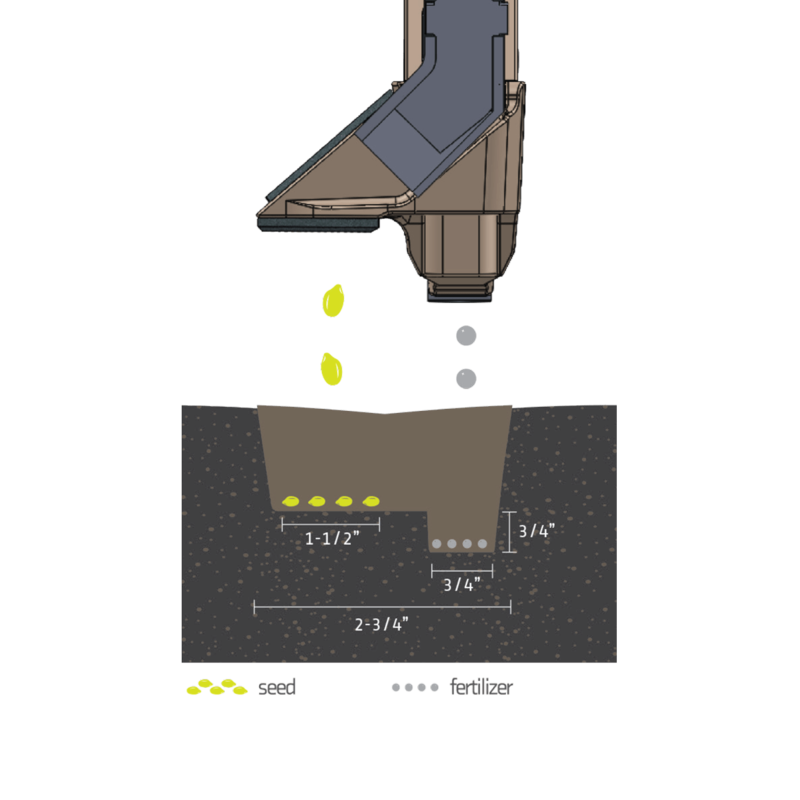 Fertilizer Placement: Fertilizer is placed in the center 3/4” (19 mm) below the seed bed. The carbide wafer under the wing seals the fertilizer trench before the seed is placed. In less than ideal conditions, mixing between seed and fertilizer may occur. For more information please refer to precautions & risk factors. Replaceable tip: Cast chrome tip with extra long carbide inserts on the nose of the tip for excellent penetration and wear resistance. Top face of wing is covered with two carbide inserts providing excellent wear resistance. Carbide wafer under the wing to seal fertilizer trench, and firm the seed bed prior to seed placement. 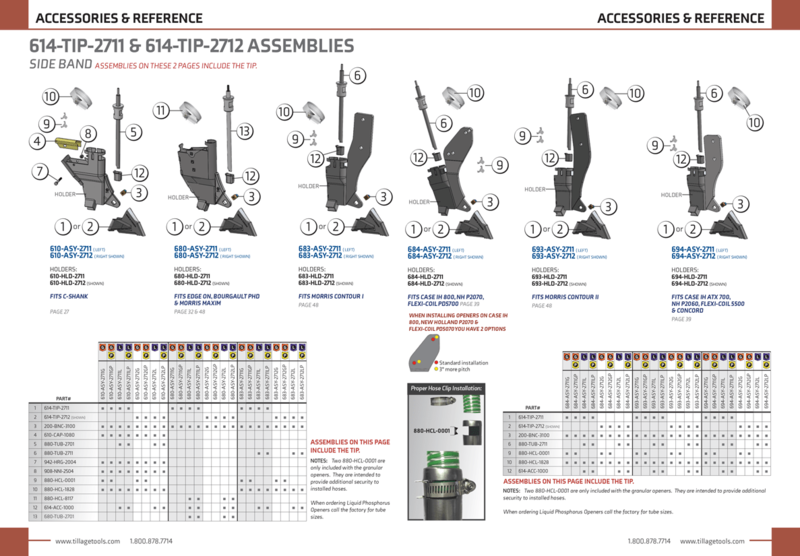 Assemblies on this page include the tip. Packer Recommendation: 3″ (76 mm) or wider. V-Packer not recommended with these openers. 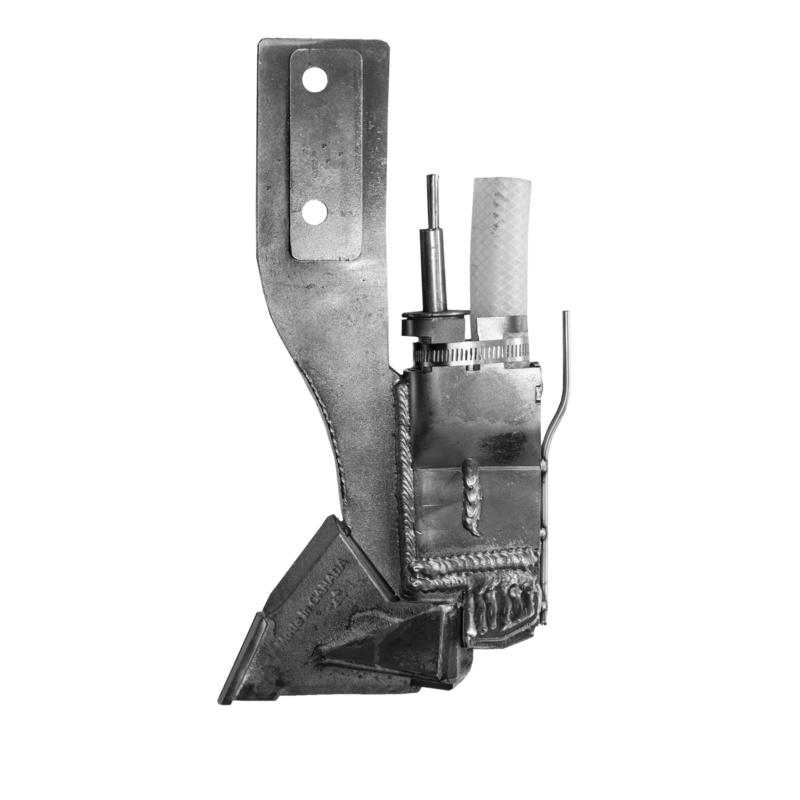 Opener Features: Hard facing is placed on critical wear points to ensure a long-lasting holder, proper seed placement. The streamlined holder design reduces plugging and allows for better trash clearance. Installation Notes: Use 1/2” x 2-1/4” Grade 8 Hex Head bolts to install these openers. Sold separately. All wings on Side Band openers must be pointing inward to the center of the seeding unit to prevent plugging when turning. Customers should order half left and half right wing openers.